Well, today is the day! After two years of me wiping tears and sheltering hearts, my soldiers get the opportunity to be in the presence of their father (cue fireworks and marching band). YAY (hint of sarcasm)! For me though, this is a time filled with mixed emotions. This is a day, I’m almost certain, that many single parents who lack the physical presence of the other low-keyed parent will cringe at. I see the sheer excitement, via Skype from America, as they give me a day by day countdown. Seeing them count how many sleeps they have until their father arrives partially warms my heart. I see their innocence as if they had never faced disappointment handed to them by him in the past. It would be ludicrous not to mention that this is total déjà vu for me. I do not possess such an innocent and forgiving heart as they. Exactly one summer ago, we counted down sleeps together. We marked off calendars as they patiently waited for August 12th to arrive. They were promised a one day all access pass to be redeemed on the daddy ride. At that point, it had been 14 months since any face to face interactions with their father. Through no fault of mine might I add. Yes, there was the issue of distance, but I never have taken upon the role of the vindictive baby mother. I’ve always allowed open communication and did my part to ensure he continued a relationship with them. Once, I even offered to assist him with his travel expenses to the UAE; just so I could see that the one void in their lives would be temporarily filled. Unfortunately, promises were made but not kept on that day. Someone forgot to fulfil their end of the bargain. My children sat with gifts they had purchased for him to make up for missed birthdays and Father’s days and empty hearts. To make matters worse, I couldn’t be there to console them. It was one of the worse moments of my motherhood experience. I sat outside my hotel in London seething with a vile anger. I still get an emotional lump in my throat and a distorted look on my face just thinking about it. After that day, he disappeared for seven months. He offered them no explanation as to why he was a no-show or why he didn’t present himself with some irrational lie via phone in order to protect them. My babies received no Happy birthdays; Merry Christmas or Daddy loves you for 7 months. I was left to pick up so many pieces of their hearts as I attempted to hold it all together. His excuse was “I lost your number”. I was expected to do everything and ensure that my feelings of disgust for their father’s decision remained hidden. According to the world, I was supposed to speak positively on his behalf. I had to put on that Super Woman cape and pretend all was well in the kingdom of single motherhood! “Smile Tanai! Smile, they are watching”, Don’t cry as you hold them close to your heart and give them the opportunity to release every tear they could muster, formed by disappointment. In those moments, I would hold them and in my head silently apologize for ever putting them in such a painful and unacceptable situation. I should have known better being a product of divorce myself. Their pain felt all too familiar as I reflected on my own empty childhood promises and a once forgiving heart . However, children can be so resilient and forgiving. Despite, the disappointment last summer brought about, they remained excited about yet another promise. Holding on to hope each week that brought them closer to him getting a chance to redeem himself. I, however, am fearful and a tad bit jealous! So you mean to tell me that after two years of being an almost absentee father, he gets to play Daddy of the Year for five days. He can spoil them and give them whatever their little hearts desire and win their undying devotion and love. They will sing his praises as if he was never the subject of their tears. Whereas, I have to work day in and day out to ensure they remain happy – regardless of his lack of participation in their lives. I am almost certain that so many single parents understand my frustration. I have gone through two years of building my children up. The what ifs run ramped in my head. What if he disappears for another seven months again? What if he decides to fill their heads with lies regarding his absence in their lives? What if he interrogates them about my life and decisions? I refuse to be one of those parents that coaches or censors their children. If he chooses to ask them questions about mommy’s life, I am more than certain he will get an innocent open and honest response. Responses which may or may not be to his liking. Maybe my feelings are unfounded and selfish. Regardless, I have to put my feelings, opinions and moments of déjà vu aside. I know I can’t be the only single parent that has ever faced this or feels this way. I always strive to be the most optimal being I can be. In the same sense, I must acknowledge that I am a constant work in progress. Forgiving is a constant struggle which I take to my knees in prayer and my heart has yet to allow forgetting to be an option. Only time will tell though. Until then I can only remain positive and prayerful that this is a new beginning of him being proactive in their lives. I guess I have to implement my Let Go and Let God mentality on this one! I have taken a vow to be as transparent as possible and it will never be my intent to glamorize single parenthood. 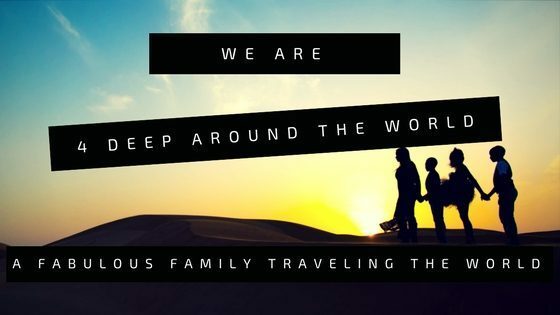 Yes, we travel the world 4 Deep and live a life during the weekend and holidays many can only dream of. It is also not my focus to go on a baby daddy (father) bashing spree. However, I am here to expose My TRUTH, which is also the truth of millions of single parents. Yes, I have overcome so much pain and heartache but I still allow myself to have my bad days. 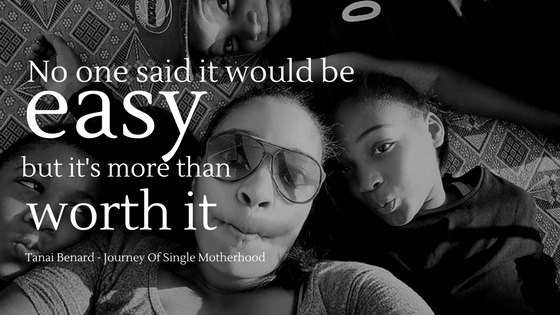 This single parent life can be a daunting task. However, I know that I am strong and the rewards are so fulfilling. Giving up is not even an option in this game. Gotta keep pushing! I understand that this too shall pass! I’ve yet to come across, or read about any separation that is the sole and complete “fault” of one person. I am not asking for you to go into any details you don’t feel comfortable discussing. I am not asking for any details of who did what to bring about this situation. I am asking you if you claim zero culpability in your children’s separation from their father to date. Yusef, I cannot accept any responsibility for HIS current actions. I feel I have made every efforts despite the distance for him to have a stronger relationship with his children. I send pictures of them, report achievements and accolades via SMS messages and send flight deals that would make it financially feasible for him to visit them. I also send them to America for 2 months each year in order for them to spend as much time as possible with him. I honestly feel I do my part. I’ve always been told that a grown person will do what a grown person wants to do. I am a firm believer of that. As a mother, I am so passionate about my children that land nor sea would keep me away from them for an extended period of time. I would assume that as a father his feelings would be the same. It is not like we were in hiding and couldn’t be found. Clearly, my life is an open book. However, I must acknowledge that I will take some responsibility for not being the perfect wife. Now that I can’t deny. So grateful for your words. So grateful for your honesty. I am 31 years old and remember vividly when I waited for my father to return my calls. I get a lump in my throat just imagining that trauma. Your words are so powerful. Your story is so important. You really spoke to me today. Please keep it up. Thank you for sharing “Your Truth.” With tears in my eyes, I say thank you.. I like reading your blogs I am a certified special education teacher and also a single parent and am very intrigued by the life abroad. I’m a man, but I have full custody of my son and his mother is involved occasionally on weekends but does not have a super close knit relationship or anything. I wonder if I would be looked upon strangely for being a single father in another culture.